Happy Fri-yay! Crazy but fun week and I'm excited to have a lazy weekend at home catching up on things I've been putting off (ya feel me??). Happy Mothers Day to all! Reading: I finished The Luckiest Girl Alive by Jessica Knoll and it was SO good like my god. It was also the authors first book which is why I wanted to pick it up. It totally lives up to all the hype! NYC Life: On Wednesday a group of us got together and did an Escape the Room in NYC and had SO much fun. We were stuck in an office and had an hour to get out but escaped with 13 minutes to spare! Everyone had a blast and we're already trying to plan the next time we can go. Weekend Plans: I really need to film some more YouTube videos! Life has been a juggling act lately and the first ball to always fall is YouTube since it isn't my main blog. But I will return next week!! 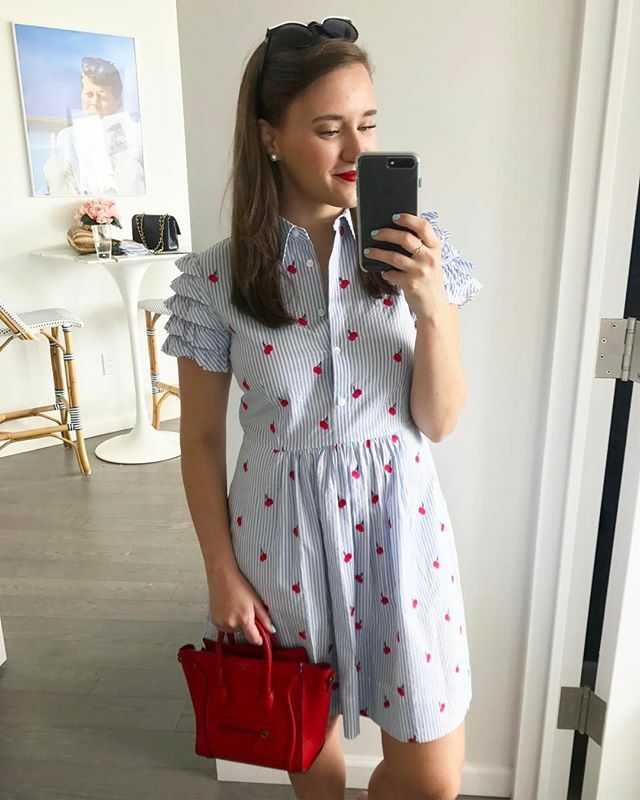 Most Popular Item This Week: This cherry stripe shirtdress (from above)! A Must Watch: Diving into 1000 mouse traps -- I love the slow-mo guys and this video was awesome!